Sometimes all it takes is a tiny spark to ignite a raging inferno. For Jeff Jensen, the spark occurred in 2011. Feeling the need for a fresh start, he loaded up his car to head back to his boyhood home in California. Just as that journey was to begin, a deep and unexpected calling starting boiling inside, Jensen changed directions and headed to Memphis. There was no job waiting for him; no plan, no family, no band, just a lone friend with a temporary place for him to stay. But our intrepid guitar player felt it was the right move, the only move. In less than thirty hours after arriving, he met Brandon Santini and was offered the opportunity to be his guitarist. Soon after, Jeff became music director for the Brandon Santini Band. The inferno has been building ever since. After two years, almost 500 shows and three recordings with Santini, Jensen re-formed his band with long-time friend and musical collaborator Bill Ruffino (bass). Then they recruited Memphis native Robinson Bridgeforth as drummer. They hit the road and never looked back. 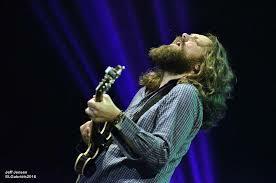 Most people are in for a shock the first time they experience a Jeff Jensen Band performance. 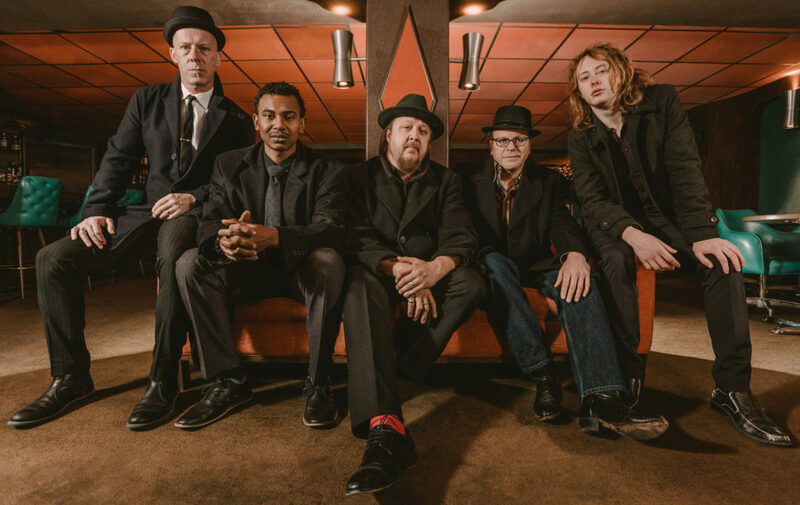 It starts with the trio mixing an eccentric blend of soul, rock, and American roots music with a deep blues influence. Suddenly Jensen feels the spirit, transforming into a whirling dervish of sight & sound as he bounds across the stage, barely able to contain himself as he wrenches stark, biting six-string explosions from his guitar. His passion is there for all to see, a rare occurrence in these times of buttoned-down music-making. At first, the sheer emotional force he creates can be a bit overwhelming. Then you realize that all art is an expression of the soul, of the power of the life-giving force that created the universe. And Jeff feels it is his responsibility to make the effort to communicate his passion with each member of the audience every night. After all, music is art, and art is the physical form of emotion. In 2015, Jensen released the vibrant Morose Elephant album that captures the flavor of the band’s creative force. 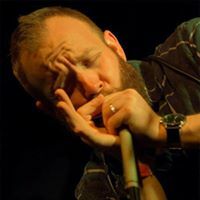 Combining seven originals with covers of songs from Memphis Minnie and Amos Milburn plus a traditional gospel hymn, Jensen articulates the depth of his musical vision with help from a number of friends including Victor Wainwright, Reba Russell, and Annie Harris. The disc received even more critical acclaim as the band’s previous release, Road Worn and Ragged (2013), both produced by Jensen. This led to two consecutive Blues Blast Music Award nominations in the Sean Costello Rising Star category (2014/2015). The band continues to tour the US, Canada and many European countries relentlessly, as the inferno shows no signs of burning out. Whenever there is a break in the schedule, Jensen switches roles, acting as the producer with other artists including Mick Kolassa, John Parker and co-producing Santini’s This Time Another Year, nominated for a Blues Music Award in the Contemporary Blues Album category (2014).